C.C. has amazing talents and is the best skateboard rider in the family. His playing catch with the children is SO popular that the children are never ready to quit as they have so much fun with the talented C.C. 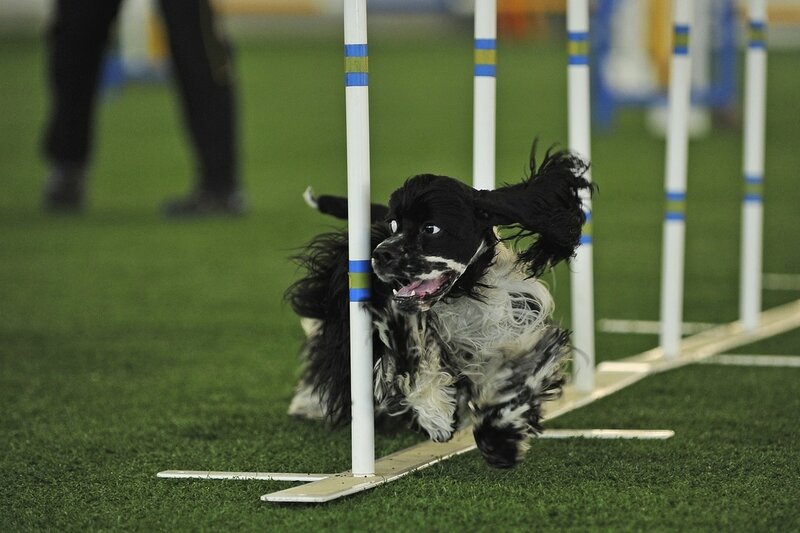 In agility competition his speed soars as you can judge for yourself as you watch him run! Your child deserves the best pups at their puppy party! Have us for your puppy party, we go to North New Jersey, South New Jersey, Central New Jersey, Brooklyn, Manhattan, Queens, Long Island, Staten Island and Westchester County and the entire New York and New Jersey area! Just call and we'll come! Puppy party for any and all occasions are our specialty! Our puppy shows are the best! An educational, fun experience! All Pictures are the Property of THE PARTY PUPS, Dog Entertainers and Therapy Dogs For Children With Special Needs and Puppy Party for Children in New York & New Jersey . Have us for your Puppy Party! Best Puppy Parties NYC!